Hello everyone! How are you all? Have you enjoyed your first week back at school or work? It has certainly been a struggle having to wake up at 6am when my body is still in Christmas mode, Winter break always seems to mess up my sleeping pattern! In today's post I just thought I would share with you a few things that I have learnt throughout my journey as a blogger. 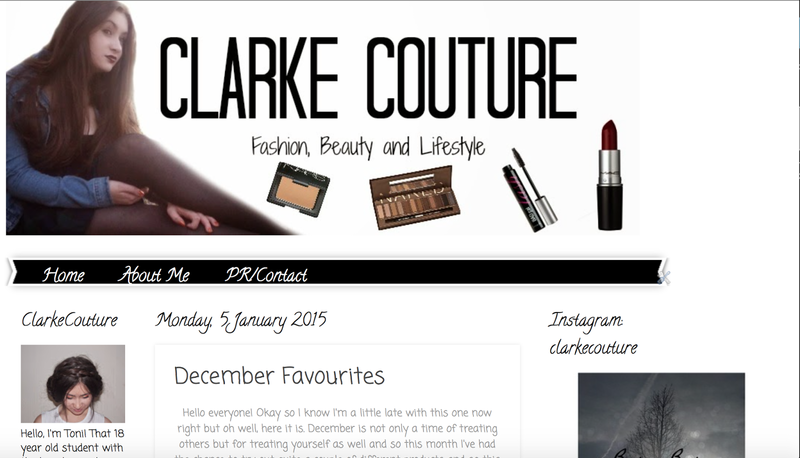 Last Wednesday actually marked the 6 month anniversary of Clarke Couture and it has changed so much since then. To be honest, I do still class myself as a new blogger and I probably will do until I have been blogging for at least a year. But I have learnt a fair few things throughout my journey from a pink Barbie inspired beginning to the classy black and white path I am currently walking along now. HeaderCustomising your header can honestly make such a difference. It isn't even that complicated to make one, if you don't have Photoshop then PicMonkey is a great alternative, I made my header using that and it honestly makes such a big difference. Just go to the create selection and select Facebook cover photo and go ahead and design! ThumbnailAs mentioned before PicMonkey is another great alternative to Photoshop for this one. The first image included in your post is always the most important one. It's the first image your viewers see of course. Then especially on Bloglovin the first image included in your post is used as your thumbnail, people then notice this before they even open your post. If you haven't got an interesting or great image, people may be less likely to read your post. 2 of my first ever posts! I'm honestly ashamed looking at these now!! 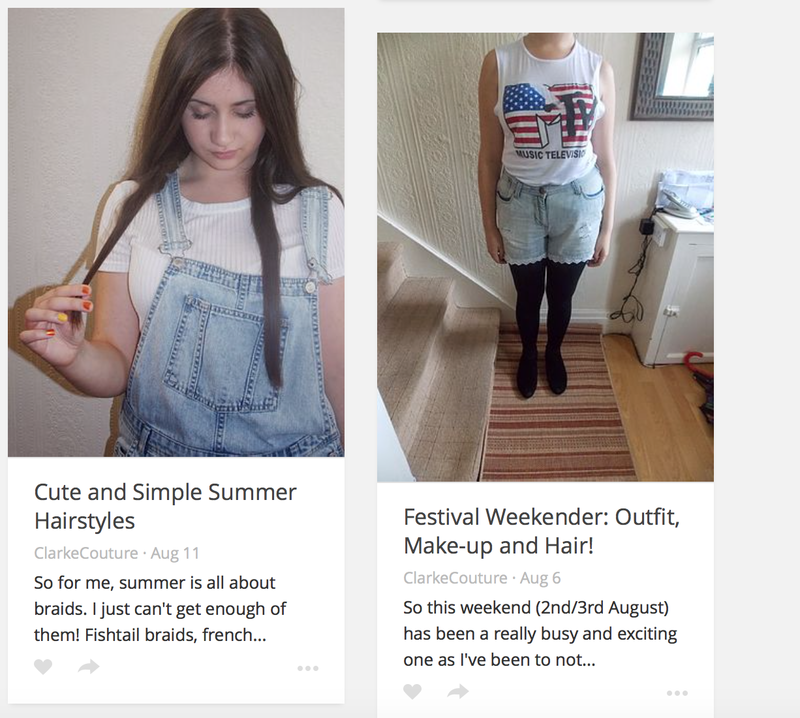 My 3 most recent posts, as you can see thumbnails make a HUGE difference! Interesting Post TitlesNow, you don't need to be as clever as a brain surgeon to think of a good title. To make the decision to become a blogger you must have a fair amount of natural creativity, so why not use this?! In the past I have called my posts the most boring names it's untrue, I have just blandly said this is what I'm posting about straight away in the title. Don't let your title give it away, the image will do the talking for you! For example if I had named my New Year's resolutions post "My New Year's Resolutions" rather than "Don't Wish For It, Work For It" people would have probably been less intrigued. And as it stands, that became my most popular post to date! Good Blog LayoutNow, I know mine isn't the greatest. I'm still only using the standard 'Watermark' template from Blogger. But I have discovered you can buy some really nice templates on Etsy for actually a really good price. These are completely customisable as well, you can change the headers and the profile picture etc. I'm still not quite sure where I want to go with the layout of my blog but I feel as though there is something missing to it. Blog SignatureI actually only recently just added mine but I can already see the professional difference it makes to the look of your blog. 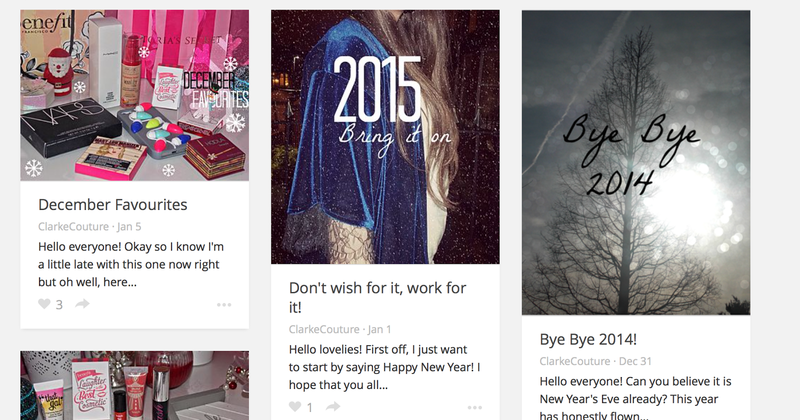 I also think it adds quite a nice personal touch too as this is something unique to you and your blog. You can create your signature on PicMonkey, this is how I did mine and it's honestly super easy. I found a really useful post on how to create and upload a blog signature to your blog here. Customised Blog DomainYet again, something I haven't got for my blog yet but I am definitely looking into purchasing one as soon as I can. I just think it can make your blog look much more professional and much more personal to you if it says 'example.co.uk' rather than 'example.blogspot.co.uk'. I feel adding a domain can allow you to feel as though your blog is more yours rather than belonging to blogger. I've had a lot of recommendations to visit GoDaddy for mine, they have really cheap annual fees so I'll definitely be looking into this as soon as I can. Unique ContentNow this is a no brainer. I'm not saying don't follow the latest trend and carry out a review on it. That's fine but try to vary what you are posting. People do get fed up of reading the same old reviews on the same products day in, day out. Look for bargains, find an interesting place to shoot an outfit post, talk about your Granny's beloved apple crumble recipe. Don't be afraid to try out something new, be different and take lot's of risks. Your readers may thank you for it in the end. Social MediaAs a blogger, you are working on the internet and so rightfully the internet will become your best friend. Social media definitely provides you with the audience you want for your blog, especially Twitter. The majority of my readers do come from Twitter. People are more than likely only really going to comment on your posts if you comment on their's and so the easiest way of connecting with other bloggers is to take part in a blogger chat. You don't have to take part in them all, during college I tend to only join in with one but every little helps. You can find a list of all of the chats and their times listed here. Do What Makes YOU HappyNow, most importantly you should always do what makes you happy. At the end of the day, your blog is your little space on the internet and it is definitely noticeable in a post when you aren't particularly enjoying what you're writing about. I feel that as bloggers we do feel pressured to write about specific topics and follow all of the current trends and hypes. But if you're not into it, then you're just not into it. People are more than likely going to like you for who you are, so stick at that and blog away 'til your hearts content. 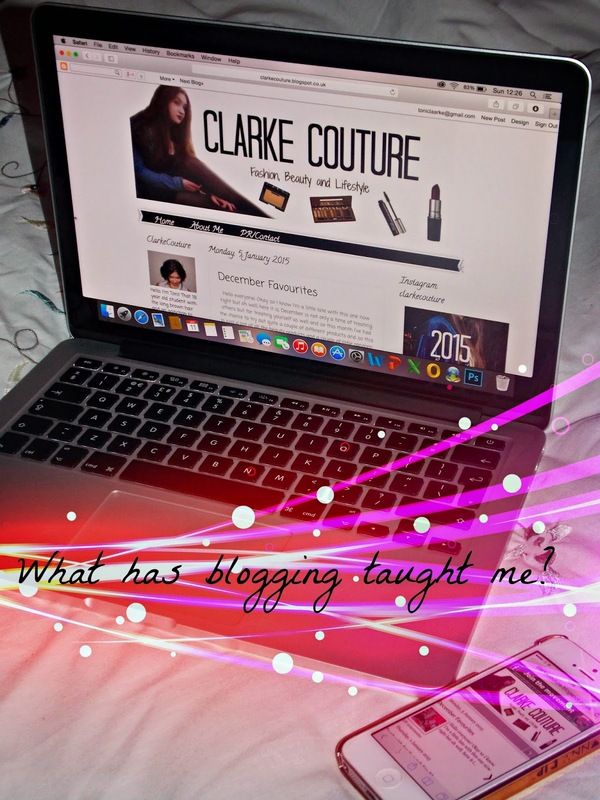 So that is everything that I have learnt so far on my journey as a blogger. I hope you liked this post and if you have any tips on things you have learnt on your blogging journeys then feel free to leave them in the comments below. Some great tips! I really should create a blog signature for my blog, you've just reminded me! Great post! Amazing Post!!! I'm a new blogger to I understand how hard it is to maintain a blog especially when you have to customize templates... I also used Picmonkey to create my own header and I find this website very useful and easy.. Thank you for sharing these great tips!!! Those are great tips Toni, very usefull! I'm definitely gonna put them in practice. Have a great week! I love the whole look of your site :) I think it makes a big difference and I adore the font! There are lots of great tips! Thank you Nico, I'm glad you found them helpful! Very cool and useful tips! I wish you a happy blogging! I like your blog! Let me know if you'd like us to follow eachother on GFC? Thank you Sonia, I hope you found them useful! Useful blog post for beginners for a beginner like me! This is a very great list, really true and informative to read! Thank you, I hope it became of some use to you!